Plug in and Charge! 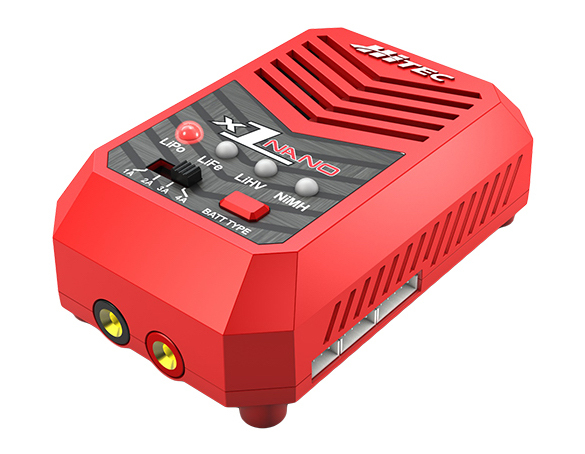 Hitec’s X1 Nano is the economical battery charging companion for all hobbyists. Simply plug in the AC power cord to a standard 100-240 volt outlet and you are ready to successfully charge all popular battery chemistries in a snap. With a charge circuit power of 50 watts, this mini charging unit is easy to operate, compact and efficient. Select your battery type and choose from four charge current settings with the press of a button. LED indicators show the charge status of your battery and make operation a breeze.